You are not logged in. [Log In] Forums Wings: Over Flanders Fields Which of these WW2 aircraft types are you most interested in flying in WOTR? #4329319 - 01/18/17 11:46 AM Which of these WW2 aircraft types are you most interested in flying in WOTR? Guys here's an interesting one for any WW2 guys. Which of these WW2 aircraft types are you most interested in flying in WOTR? any chance this will also include MMP? Who knows ultimately, but not in the initial stage no. But please no questions about other stuff here. This is a fairly simple poll. Voted. Gimme my Spits please! I voted Spitfire. As I have no idea of which Theatre of Operations this sim is to be set in. (As the title is a bit obscure, Maybe the Defence of Berlin/Reich) I picked Spit as a general aircraft. I would however love to see the Mossie in there though at some point. I know CFS3 has one in there already but it would be great to se it re-imagined. B-17. If I could choose two, B-17 and the Lanc. My same two choices exactly Jim. Love the big bombers. As much as I also like the heavies, I'll be the unique snowflake by voting for the Bf 110. I love the heavy fighter concept and along with the American P-38 Lightning, the Zerst�rer is among my favourite WW2 airplanes. You can also use the Bf 110 as a bomber (both dive and level), so it would be a versatile addition to the WOTR planeset. Besides, it was also important as a night fighter. And that is something never properly implemented in a WW2 flight sim! As much as I also like the heavies, I'll be the unique snowflake by voting for the Bf 110. I am sure you are not . As for the beauty of an aircraft: Spitfire! As for the �beauty of technology: Bf109*! Member of the 'Albatros Aviators Club' - "We know how to die with Style!" I thought they were called 'Bf' until the Old Man (factory owner) died and Willi Messerschmidt (who had married the boss's daughter) took over. Then they changed over to 'Me'. The official Luftwaffe designation was always Bf (short for Bayerische Flugzeugwerke). 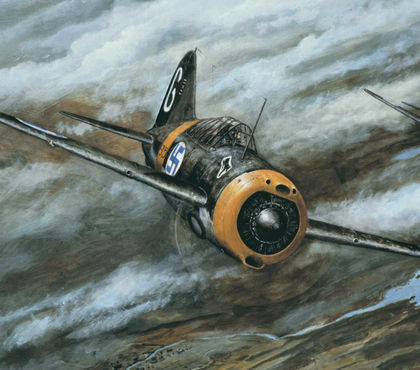 But it was commonly known as Me 109 among Allied pilots and even many Germans too. First impression I'm not interested in WW2, do have Bos/Clod/il2-1946 and some older WW2 games. Only after reading the Wotr web site on what is going on and combine to an immerse OBD campaign, hell I think it must be great flying a dambuster mission in the Ruhrgebied or trying to bomb the sub- and V2-bunkers using the blockbuster, tallboy or the grand slam bomb. Last edited by dutch; 01/20/17 06:40 PM.